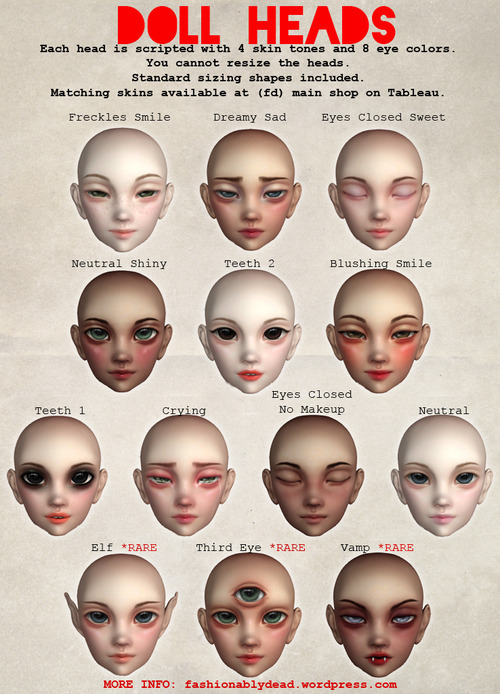 • Scripted with 4 skin tones and 8 eye colors. • Standard Sizing Shapes Included. • Matching Skins Available at (fd) Main Shop in Tableau.